Many emergency medical workers were visibly upset after prosecutors reduced charges for Michael Jaccarino, a prosecutor in the Brooklyn district attorney’s office, who attacked a female EMT in a drunken rage. Jaccarino was given just a 10 day community service sentence for his guilty plea to assaulting the ambulance worker while he was being taken to a hospital. Prosecutor Sherita Walton insisted that his drunkenness was a complete defense to intent since it was not clear if he actually intended to hurt the victim,Teresa Soler. EMT workers cried foul and suggested that prosecutors were being far more lenient on one of their own in the plea arrangement. We previously discussed the case. 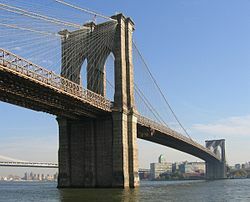 Jaccarino was spotted wandering drunk on the Brooklyn Bridge in November. After he was picked up by an ambulance, he succeeded in unbuckling himself from a gurney and struck Soler. She recounted that he held her down with his forearm pressed against her neck, choking her. This all turns on the level of intoxication, which is not clear in these articles. In light of the lower charge, should Jaccarino be fired as a prosecutor and/or disbarred? This is a misdemeanor and he has agreed to take alcohol abuse classes. What do you think? How fair is that when as a ordinary citizen I would get a much harsher punishment but as a prosecuter you are pretty much above the law. Social service professionals, emergency responders and mental health professionals must now unionize and DEMAND justice or we need to all vacate our posts until violators who assault such professionals are prosecuted to the full extent of the law, to send a clear message that no such assaults or violations of the protections for service professionals will be tolerated. Would thsi prosecutor get off so easy if he had choked a female judge? Hell no! If he was so blind drunk then, shouldn’t all his cases be re-tried – as he may have been incapable of rational thought when investigating or prosecuting them? I guess the “too drunk to be responsible” defense only works when one is part and parcel of our broken Judicial (sic) System. The record of most prosecutors (if investigated) is that they will do anything for promotion. They stack on charges, bear false witness, do not present facts to the jury and basically ignore their Oath of office. The people need to know that the Jury is their protection against rogue prosecutors and learn their rights as a juror to protect the people against tyranny. The best way to serve your country is to be an informed juror. more of the 2-tier “justice” system. if tables were turned she’d be in lockup for 30 years or life whichever comes last. 1 – It is a lot more dangerous now for any EMT worker to take any patient to the hospital in any ambulance ever. Notice? Thanks to the brilliant judicial system for making even the rescue of injured people more difficult than it has to be. 2 – So if I get really smashed and go kill this prosecutor, will that be OK? What blood alcohol level would you suggest? I wouldn’t mind maybe a month or two of community service; I have always wanted to give back to my community. I could understand if it was a TSA worker. Who pays is the other issue. Looks like in the age of Obama you get justice like Osama: No trial. No jury. Just a bullet in the head and a desecrated corpse. Speaking of prosecutors, here’s one whose a real hero! I hope Turley focuses more on this aspect of jurisprudence.